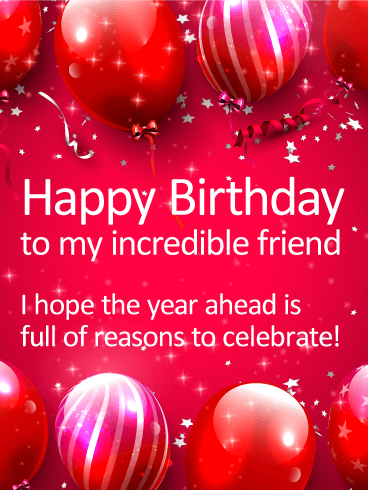 HAPPY BIRTHDAY, FRIEND! Wishing you a wonderful day! 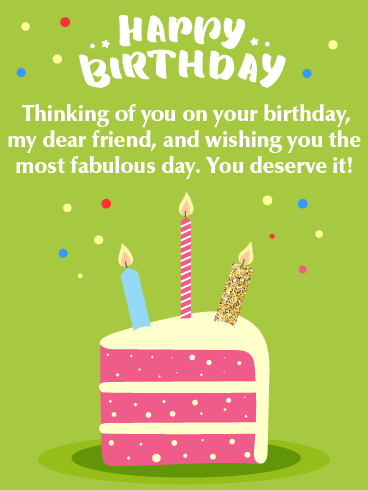 With a sleekness and sophistication, this birthday card will make your special friend feel simply fabulous on their birthday! A rich red background, complete with balloons and a little bit of bling, brings your best wishes not only for today, but the year ahead. Now that's cause for celebration! 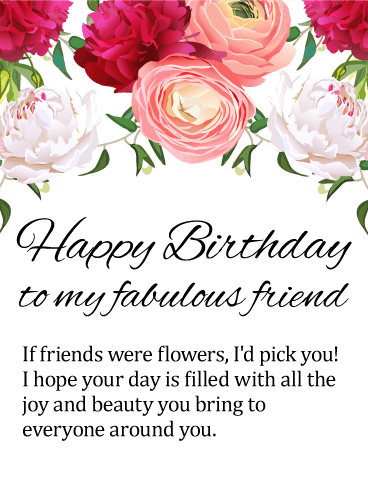 Filled with the loveliest flowers, this delightful birthday card will instantly brighten your special friend's birthday, just as she brightens every day for the people around her...especially you! 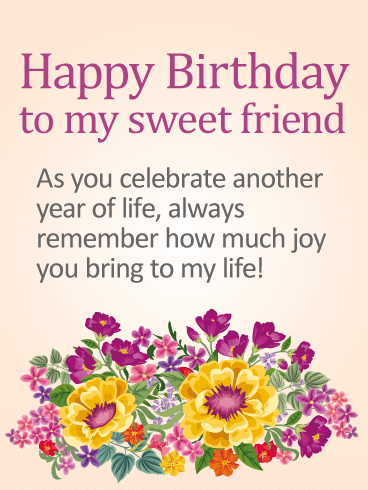 A soothing purple background is highlighted by a bright pop of colors, bringing a touch of charm and whimsy to this heartwarming birthday card. 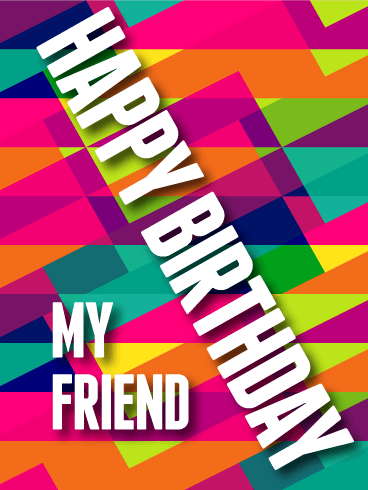 This whimsical birthday card is full of reasons to make someone smile bright on their birthday! 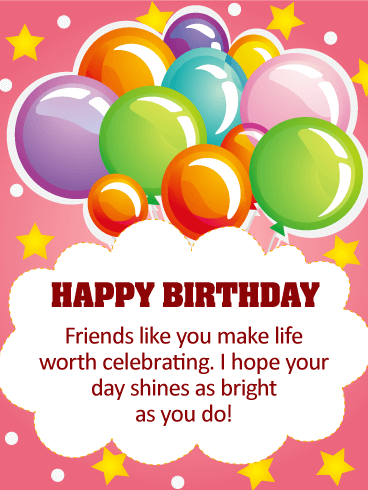 Bunches of balloons float above while twinkling stars and blue skies surround a big, fluffy cloud that carries your thoughtful message to a friend who makes "life worth celebrating." 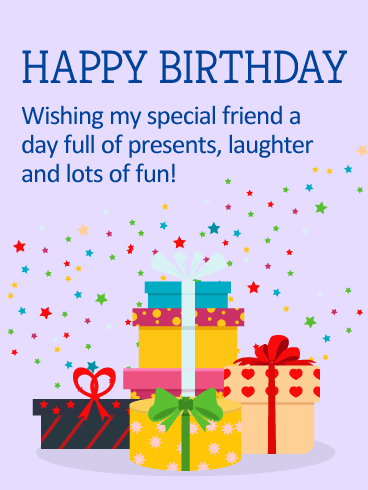 Perfect for birthday boys and girls of any age, it's a wonderful way to show you care. 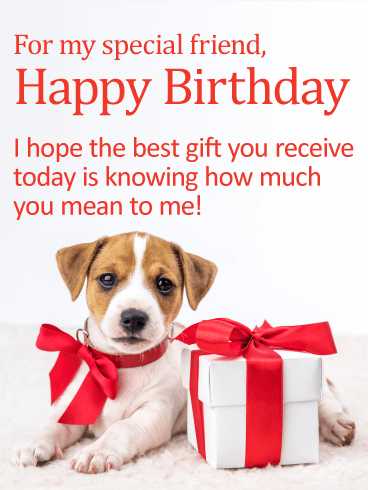 A never-ending parade of presents will fill your friend with excitement and anticipation as they celebrate their birthday! And the message below will fill them with happiness, knowing that you took the time to let them know how much you value their friendship. 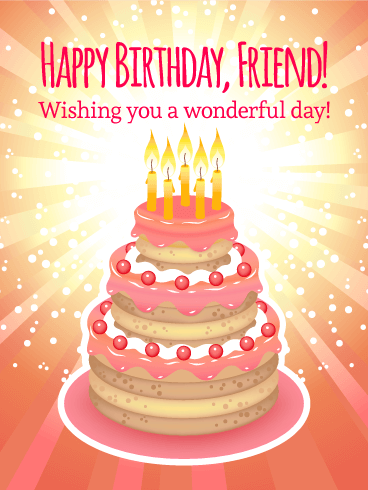 A friend as sweet as yours deserves a birthday card as sweet as this! 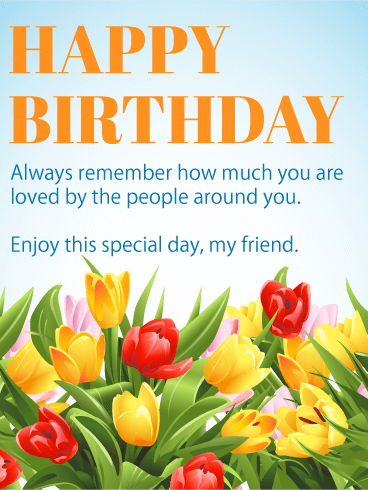 A garden of gorgeous flowers decorates the bottom, while the words above deliver your most heartfelt wishes to someone very special: "As you celebrate another year of life, always remember how much joy you bring to my life!" What a wonderful and touching way to celebrate the friendship you share, now and forever. 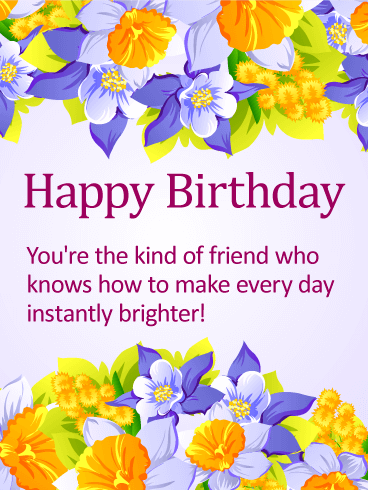 This beautiful birthday card for a fabulous friend will touch her heart just as she touches the hearts of everyone around her. 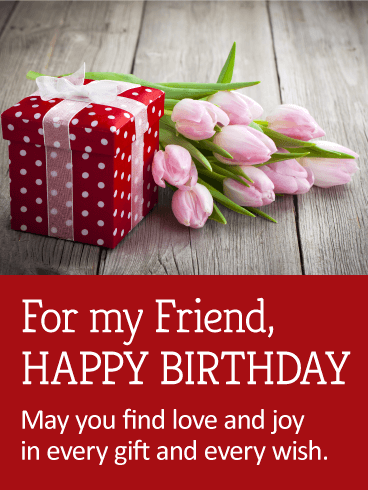 A garden of lovely flowers fills the top with its splendor and charm, while the sweet and sentimental message below lets her know that, if you had to choose, you'd always pick her to be your friend. 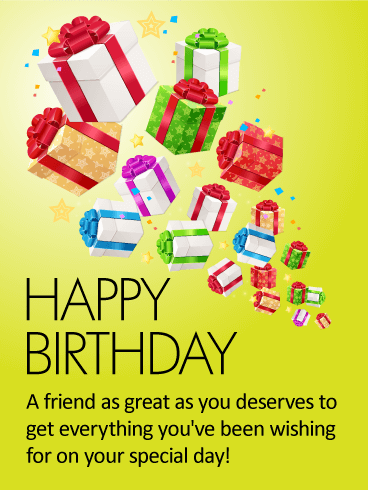 What a wonderful way to celebrate someone you care about on their special day.